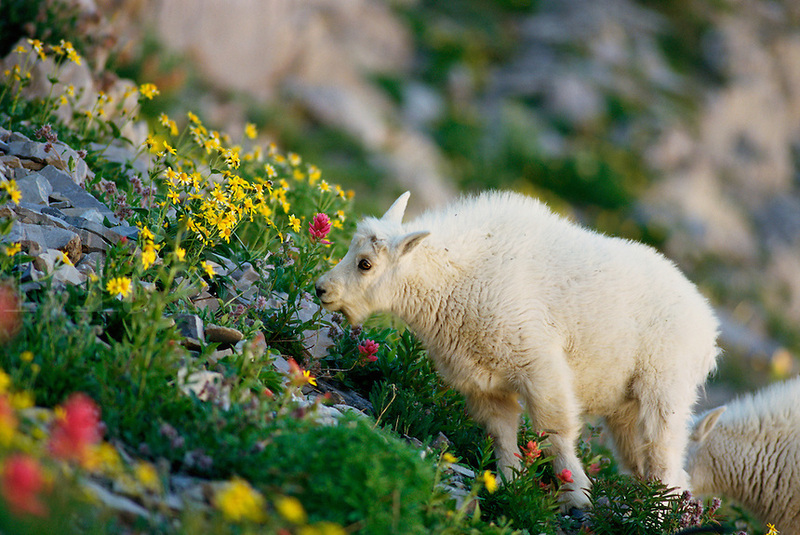 MG-6 Young Mountain Goat (Oreamnos americanus) eating wildflowers. Mt Timpanogos Wilderness Area, Wasatch Mountains, Utah. Original: 35mm Transparency.